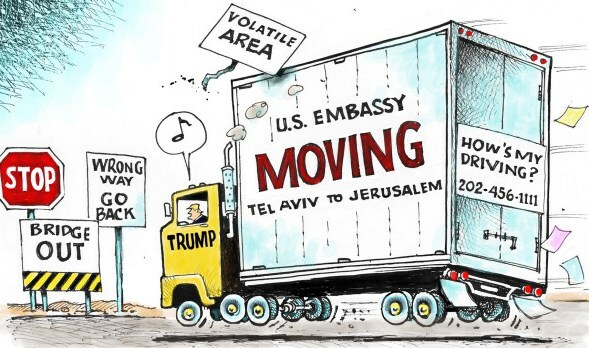 Last December Donald Trump announced that the US would move its American Embassy in Israel from Tel Aviv to Jerusalem. The announcement was met with applause by some and condemnation by others. Some pundits warned of violence and chaos erupting in the Middle-east but that did not really materialized and even if it dd, what else would be new. He took his idea to the United Nations assembly where it was shot down in flames by 128 of the member nations. Canada abstained from voting on the resolution because, well, we are Canadian and too polite to take a position. Then a couple of weeks ago Canadian Conservative Party leader Andrew Scheer announced that his party would also recognize Jerusalem as the capital of Israel. Internationally nobody batted an eye. Who’s Andrew Scheer? He was criticized locally however for being insensitive to Arab Canadians. The big controversy has to do with the concern that both Israel and Palestine claim Jerusalem as their capital. That of course is not entirely accurate. Most Westerners, including the media, do not seem to understand the historical and political facts surrounding this complicated political situation called Israel. 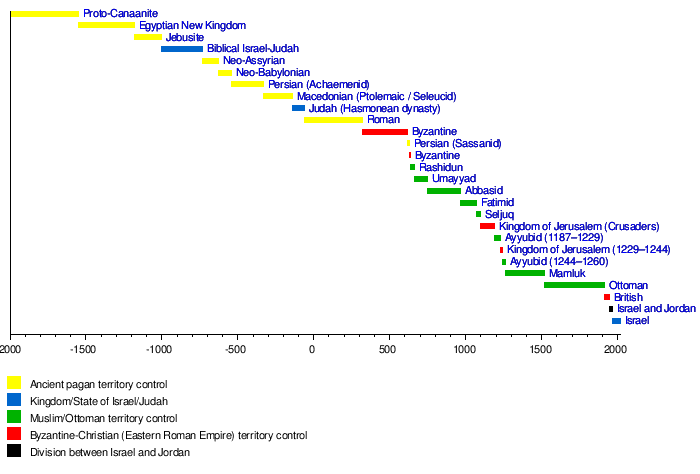 From a strictly biblical perspective it would seem that God has chosen Jerusalem as the capital of Israel. “Since the day that I brought my people out of the land of Egypt, I chose no city in all the tribes of Israel in which to build a house, that my name might be there, and I chose no man as prince over my people Israel; but I have chosen Jerusalem that my name may be there and I have chosen David to be over my people Israel.” (2 Chronicles 6:5-6) For some that would be reason enough but for others that would hold little sway. You see Jerusalem has been attacked 52 times, captured and recaptured 44 times, besieged 23 times, and destroyed twice. It has changed hands so many times it is hard for anyone to keep track of to whom it really belongs. There is no doubt that Israel has had its challenges holding on to its capital. But from a military perspective the last half century has been pretty decisive. Israel took control of West Jerusalem in 1948 after the Arab- Israeli war. During the Six-Day war of 1967 Israel captured East Jerusalem as well. So the city of Jerusalem has been firmly in Israeli control for at least 50 years. More significantly, Israel itself has located its government in Jerusalem. The parliament building, called the Knesset, has been located in Jerusalem since 1966. The Israeli Supreme Court is right across the street. I have been to both these locations and can confirm that they are truly in Jerusalem and not in Tel Aviv. The Israeli parliament is not even a Jewish government but a decidedly secular one by constitution. It represents all citizens of Israel regardless of their faith, culture or nationality. The Knesset has had 81 elected Arab members in its history and currently has 18 sitting Arab members. The Palestinian Authority on the other hand is in the city of Ramallah, not Jerusalem, and has no Jewish members. The controversy is completely ridiculous. It would be as if countries from around the world refused to recognize Ottawa as our capital, and instead put their embassies in Regina… not that there is anything wrong with Regina. The real capital scandal is not that a couple of Western leaders want to recognize Jerusalem as the capital of Israel, but that 128 other countries (plus Canada if we are being honest) refuse to. 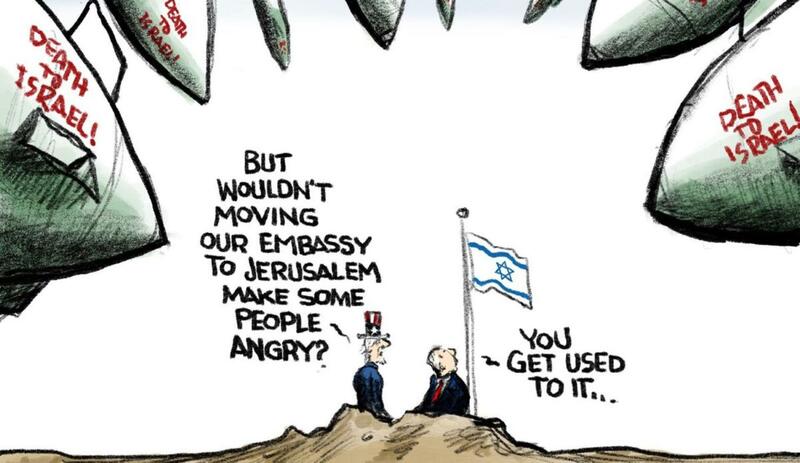 They continue to slap Israel in the face by rejecting their right to claim whichever city they want as their capital. Far from being diplomatic what the UN has been doing for decades has done nothing but exacerbate an already volatile situation. Maybe there is not much you or I can do about it, but I thought you might want to know the disregarded facts.